Two articles on energy from today’s (Monday, August 6th) Wall Street Journal caught my eye. I thought that they were an interesting contrast of two situations surrounding the same issue. 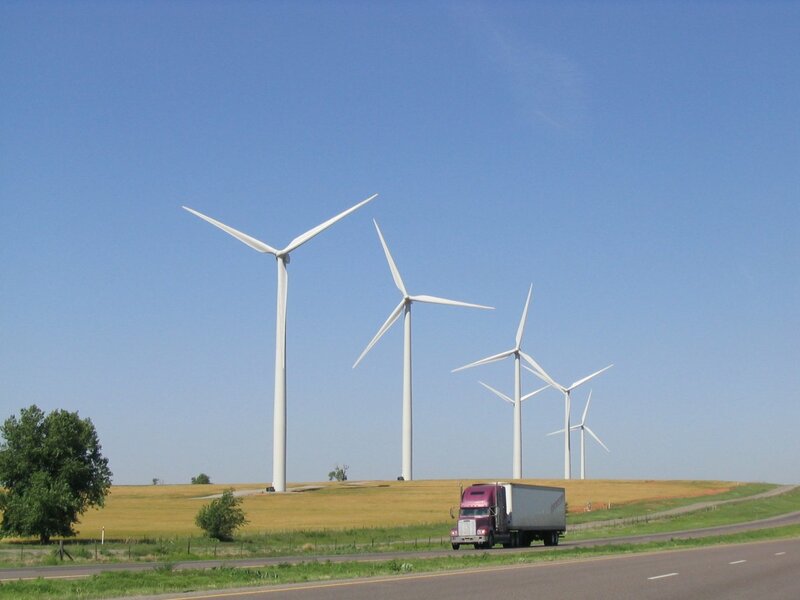 United Kingdom-based power producer International Power PLC will become one of the world’s largest wind-farm operators after agreeing to buy a portfolio of wind farms in Italy and Germany for E 868 million ($1.2 billion). International Power said it will buy the 648-megawatt Trinergy Wind Portfolio from Ireland-based wind-asset-management firm Trinergy, including 581 megawatts in operation and 67 megawatts under construction. Many investors have been plowing funds into the burgeoning wind sector to take advantage of stable and attractive subsidies that have been designed to help European Union nations achieve their ambitious renewable-energy targets. “Both Italy and Germany are attractive markets with significant growth targets for renewable generation, supported by clear regulatory frameworks,” said International Power Chief Executive Phillip Cox. Democratic leaders hope to send President Bush an energy bill this fall that lessens U. S. dependence on foreign oil, but first they must strike compromises acceptable to both House and Senate that will require politically delicate trade-offs involving the auto and utility industries. In the House of Representatives, which approved its package Saturday on a 241-172 vote, any increase in vehicle fuel-economy standards would risk eroding support among Democrats, especially business-friendly moderates worried about U. S. auto makers and their workers. In the Senate, any bid to require electric utilities to dramatically increase use of renewable resources, such as solar and wind power, would strain ties with Republicans whose continued backing is needed. The White House is lodging its own complaints, including concerns that neither bill does anything to boost domestic oil and gas productions. “We have fundamental disagreements” that “are going to be very difficult to negotiate,” said Rep. Diana DeGette (D., Colo.). With gasoline prices high and voter concern rising about the nation’s energy security, Democratic leaders kept the House in session during the weekend to take on the energy issue, reflecting the importance party leaders now place on the initiative. Both the House and Senate bills are designed to improve the energy efficiency, and begin weaning the nation off its reliance on fossil fuels. 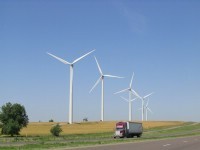 To summarize my reading of these two articles: in Europe, wind energy is a multi-billion dollar industry, fluidly crossing national borders, and benefiting from growing investment, and in the United States, wind energy is a promising industry, threatening various interest groups, and awaiting assistance from decisive leadership. I know I may be over-simplifying things, but it would be interesting to see a comparison of the wind energy per capita between these two communities. Ross, the key in Europe is that their markets are maneuvering “to take advantage of stable and attractive subsidies”, which is sort of what our corn-based ethanol sector is doing. In each case, someone else is paying up front because the free market profits are too low. Asking who pays for these subsidies is the 800-lb gorilla in the room that we all tend to ignore. After all, paying for lobbyists to help you get subsidies is just the cost of doing business while paying lobbyists to fight those subsidies is extra overhead if you are not part of a cabal making money off the taxpayers. The more interesting number (than per-capita production, which only measures how big a sucker the public is) is to track from whom the subsidy moneys are being taken. The politician who robs Peter to pay Paul can surely count on Paul’s support. The people who pay for subsidies are the same people who pay for lobbyists…you and me. Because it’s all coming out of our wallets, we might as well try to have our voices heard on the matter of what might be the best use of our money…subsidizing solar power or assuring business as usual at the utilities, investing in a promising technology or protecting existing economic processes. Expressing our opinion and several dollars will get us a beer at the Cow…and often more satisfaction that we get from our leaders’ performance on key issues of the day. A toast to Lobbyists, Subsidies, Big Oil, Detroit, Mom, Apple Pie and the American Way! which for the most part go ignored. ideas pushed even if mine were better. by converting more to electric energy. they come down grade or as they stop. the trains more before the accident.